Crumb-topping lovers unite! These bars are for you. And by “you” I also mean me because I just can’t get enough buttery crumbly goodness in my life. Anyone else feeling the same? It is no secret that I love crumb toppings. 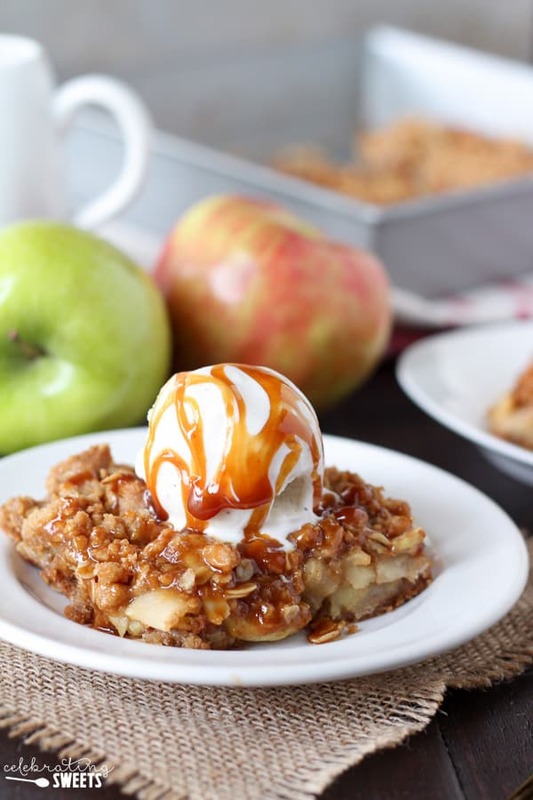 I will eat every morsel of topping off an apple crisp, I always choose a crumb topped pie over a double crust, and I am always looking for the perfect vehicle (here and here) to hold a luscious crumbly topping. What we have here is a beautiful, buttery, brown sugar oat crumble that serves as both the crust (yes!) 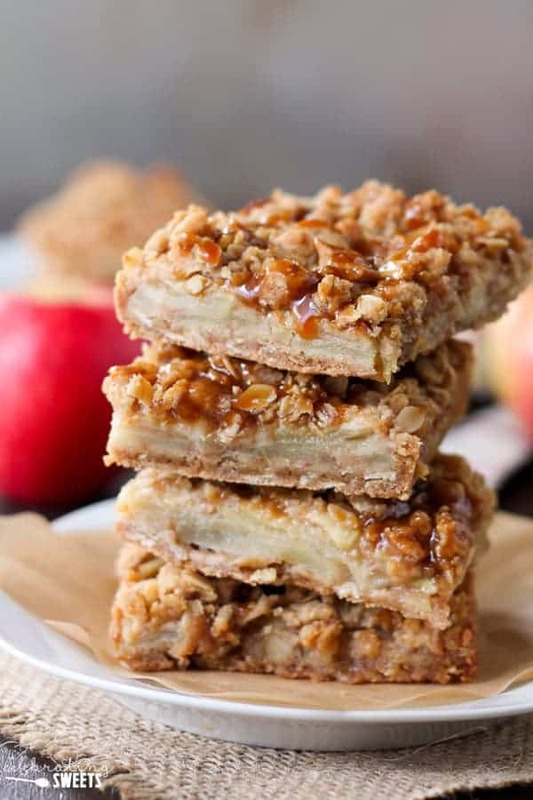 and the topping of these Caramel Apple Bars. In between those two delectable layers are thinly sliced cinnamon-spiced apples. 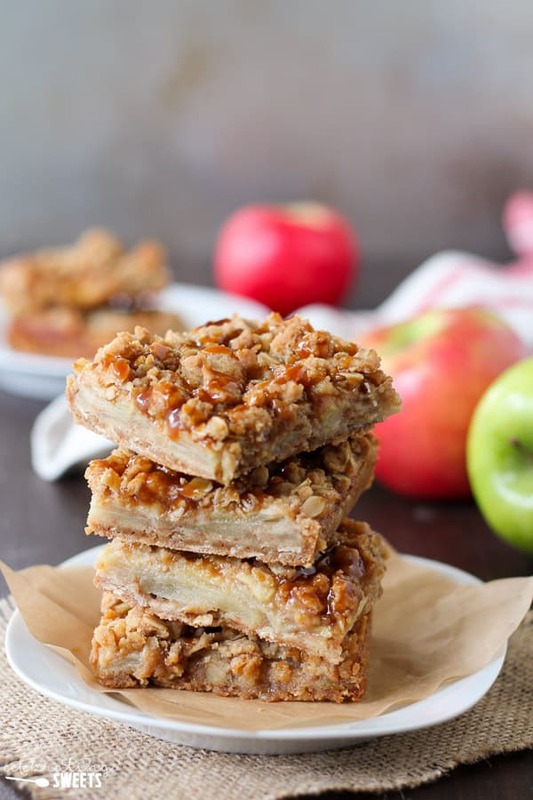 While baking, the apples get bubbly and tender and the crumb topping gets golden and slightly crunchy. After baking, we do what all self respecting dessert lovers do and we drizzle that whole pan of bars with SALTED. CARAMEL. SAUCE. Gah! Now comes the tough part… You have two options: Wait for the bars to cool so you get pretty, neatly sliced squares, or, exhibit little-to-no self control (ahem) and dive in while they’re still warm gooey and sticky. Either way you are going to love every bite. Oh, and topping these babies with vanilla ice cream and a generous drizzle of caramel sauce might just be the best decision you’ll ever make. 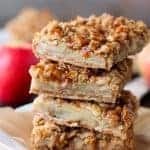 A brown sugar oat crumble serves as both the crust and topping for these Caramel Apple Crumb Bars. Filled with cinnamon spiced apples and topped with caramel sauce, you'll love this easy fall dessert. Preheat oven to 350°. Grease a 9x9 square baking pan. 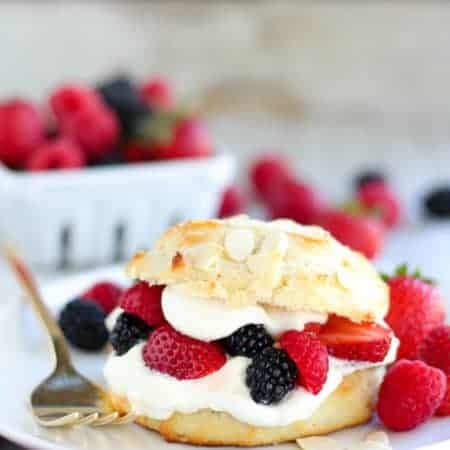 In a large bowl, using a hand mixer or stand mixer, beat butter and brown sugar until creamy and combined. Add flour, oats, salt and baking soda and beat until combined and crumbly, scraping the sides of the bowl as needed. In a separate bowl, combine all ingredients for apple filling. Toss until well combined. Dump the apple mixture on top of the crust and spread it out evenly. Crumble the reserved topping over the apples, pressing some of it together to form clumps. Bake for 20-30 minutes until the topping is golden brown and the apples are tender (insert a sharp knife to check). Place on a wire rack to cool slightly. 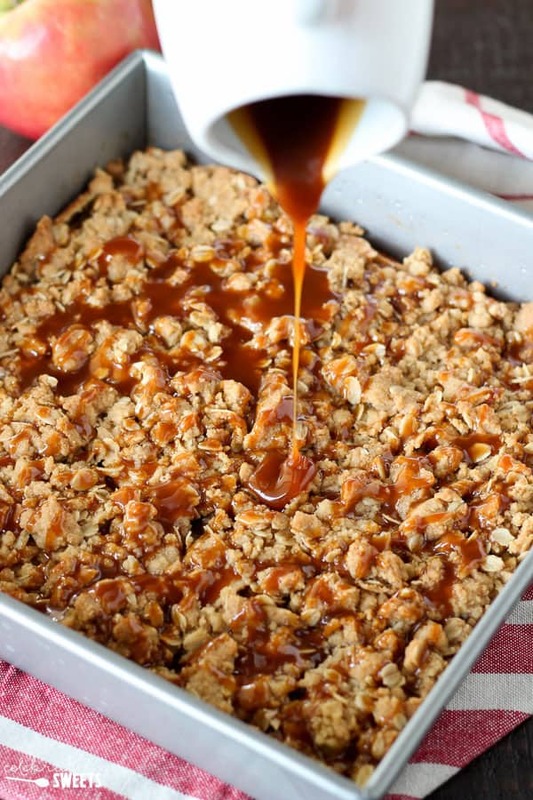 Drizzle with ⅓ cup caramel sauce. Serve warm, room temperature or chilled. Note: The bars will cut more neatly if chilled. Optional: top with ice cream and additional caramel sauce. Use good quality, fairly thick caramel sauce. I used Trader Joe's Fleur de Sel Caramel sauce. Homemade salted caramel sauce would great too. If you can't find salted caramel sauce, you can use regular caramel sauce. Just lightly sprinkle the top of the bars with a little sea salt to add some balance to all the sweetness. 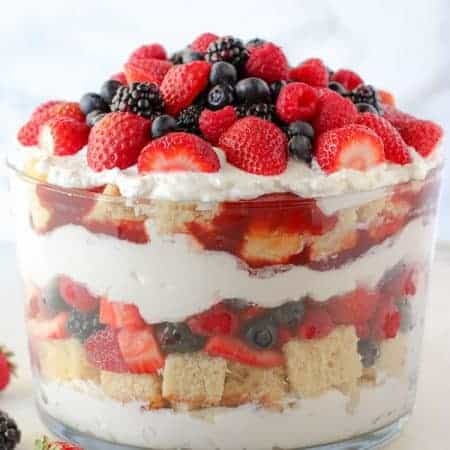 I will have to make 2 pans of this – one for me and one for my guests! O God! What a great recipe! I want to try it immediately! Looks very tasty! THANK YOU! 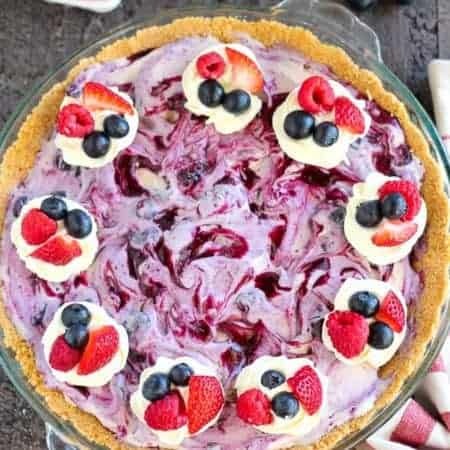 Could this recipe be double for a 9×13 pan? Hi, Nancy. I have never tried it, but I would assume it could be doubled. Just make sure your apples are sliced really thin. Your layers will be slightly thicker than mine, so you want to make sure the apples cook through completely. Enjoy! This is AMAZING! I added chopped peacans to the topping. I will definitely make this one again! I made this for my gluten free daughter’s school class. There is a child with a tree nut allergy as well so I could not sub almond flour. I used a rice blend (krusteaz) and it came out pretty good. I’d say add more butter if you sub, it was slightly dry. But great with ice cream. Thanks for sharing your changes. I’m glad it turned out. Happy holidays!